For more than 40 years, Carson Fischer has provided its clients with the highest level of focused, insightful, and creative representation. Our boutique size provides clients with direct access to experienced attorneys who promptly address each client’s specific needs. We are committed to excellence, efficiency, and integrity. For decades, Carson Fischer has provided guidance to businesses in all forms, from public and private corporations, to limited liability companies and partnerships. 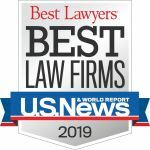 The Carson Fischer litigation practice group offers “big firm” expertise, while our boutique size allows us to provide our clients with the personal attention and efficiency of a smaller firm. Our real estate practice delivers creative and comprehensive services regarding commercial, retail, and residential property matters. We offer multifaceted transactional experience. Carson Fischer provides comprehensive services to developers and property owners regarding the development and use of real property throughout the state of Michigan. A recognized leader in business reorganization and commercial bankruptcy, Carson Fischer counsels clients across a spectrum of businesses, from manufacturing, retail and service industries, to real estate development and finance. Confidentiality and personalized attention are driving forces behind Carson Fischer’s matrimonial and family law practice. Carson Fischer provides tax advice on a variety of federal and state tax matters as part of our overall package of services to clients. Carson Fischer provides estate planning services that are tailored to our clients’ individual circumstances, needs, and desires. We do not use a formulaic approach: our counsel reflects each client’s goals. The firm has extensive experience in representing on-air television talent around the country.